In today’s guest post, Andrew Lyons, one of the two new Editors-in-Chief of the International Journal of Logistics: Research & Applications (IJoL) provides an introduction to his journal. The International Journal of Logistics: Research & Applications (IJoL) publishes original and challenging work that has a clear applicability to the business world. As a result the journal publishes work that is original and academically rigorous that has also demonstrated to have made a positive impact on supply chains or has clear potential to be of significant practical value. High quality contributions are therefore welcomed from both academics and professionals working in the field of logistics and supply chain management. Papers should further our understanding of logistics and supply chain management and make a significant original contribution to knowledge. In this context the term “logistics” is taken in its broadest context as “the management of processes, flow of materials and associated information along the entire supply chain, from raw materials through to the final user of the product”. The journal covers all aspects of logistics and supply chain management. All published research articles in this journal have undergone rigorous peer review, based on initial editor screening and anonymous refereeing by independent expert referees. Professor Andrew Lyons is a Professor of Operations & Supply Chain Management at the University of Liverpool Management School. He is the Director of Studies MSc Operations & Supply Chain Management. 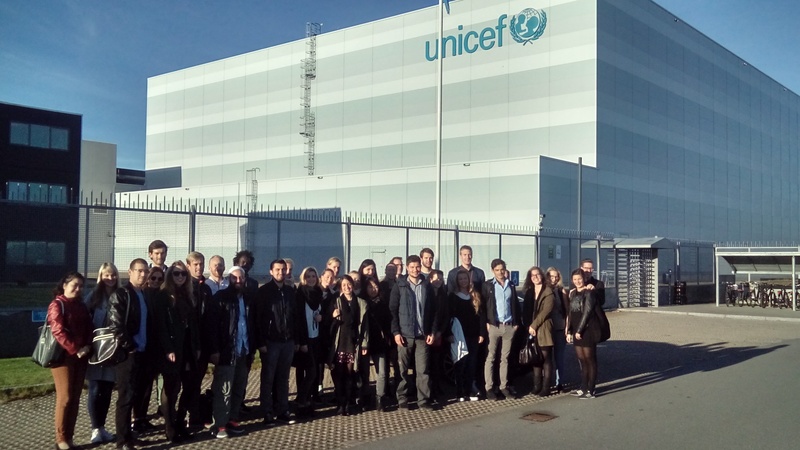 Last week, I visited UNICEF’s Supply and Logistics headquarters in Copenhagen, together with my International Logistics Management students from Copenhagen Business School. I was very impressed by interesting presentations about UNICEF’s supply chain and the processes of their almost fully automated warehouse. Keep on doing your important work that is essential to fulfill children’s rights to health, education and protection. The AVE–SV comparison (Fornell & Larcker, 1981) is certainly the most common technique for detecting discriminant validity violations on the construct level. An alternative technique, proposed by Henseler et al. (2015), is the heterotrait–monotrait (HTMT) ratio of correlations (see the video below). Based on simulation data, these authors show for variance-based structural equation modeling (SEM), e.g. PLS, that AVE–SV does not reliably detect discriminant validity violations, whereas HTMT identifies a lack of discriminant validity effectively. Results of a related study conducted by Voorhees et al. (2016) suggest that both AVE–SV and HTMT are recommended for detecting discriminant validity violations if covariance-based SEM, e.g. AMOS, is used. They show that the HTMT technique with a cutoff value of 0.85 – abbreviated as HTMT.85 – performs best overall. In other words, HTMT should be used in both variance-based and covariance-based SEM, AVE–SV should be used only in covariance-based SEM. One might be tempted to prefer inferential tests over such heuristics. However, the constrained ϕ approach did not perform well in Voorhees et al.’s study.